Architecture has come a long way since America was born. When you look at some of the old barns that still litter the countryside, many of which are now rotted and decaying for lack of maintenance, you cannot help but notice the simple style of construction that is used. Compared to a modern barn, these look like caveman constructions that make a person marvel at the fact that so many are still standing. But there is a new type of barn construction that takes it up to the next level in terms of sophistication and ease. I’m talking about modular barn building. This is a style of barn construction that is relatively new, but which is rapidly increasing in popularity as the word gets out about just what an improvement they represent over traditional building methods. 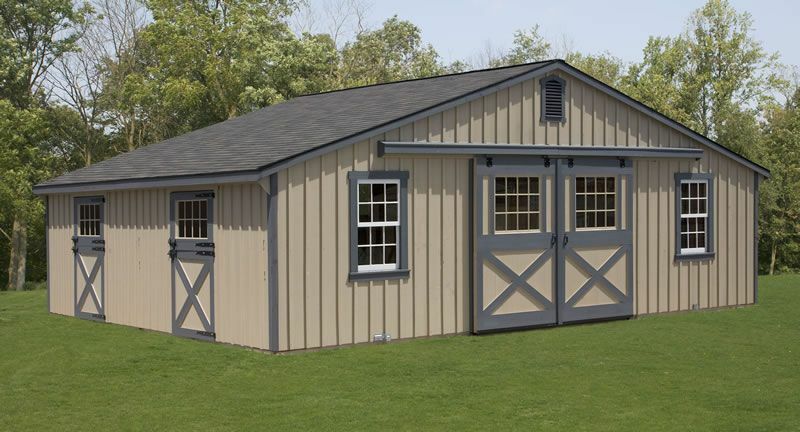 A modular horse barn, or for that matter any other type of modular barn, is a simple and straight forward construction solution. You buy your barn in a series of pre-manufactured sections which are then put together to form a complete building. This may not seem like the most advanced idea in the world, but it has not been possible in the past without compromising the integrity of the structure. The ability to build a modular structure that will withstand the test of time is a new feat that should be taken advantage of by anyone who needs a barn built. Perhaps the most significant and appealing aspect of the modular barn is the fact that it tends to be cheaper. Traditionally made barns require traditional materials and methods. Such materials and methods are usually more expensive today than they were back when our homesteading ancestors were at work building their barns. They had a seemingly endless forest to draw from. We do not. They usually had a lot of people from within a tight knit community working together to build a barn from the ground up. Most of the time, we modern Americans do not. This is just one of the reasons that modular barns represent a significant step forward. Modular barns also tend to be cheaper because there is less labor involved in setting them up. This means that a smaller crew of workers can be used to build the same size and quality of structure. While they will certainly need heavy machinery, fewer workers means a lower cost for the contractor and the customer. Of course, this is where it becomes very important to find a reputable contractor. Another great thing about this idea is that you can build your barn a little bit at a time. This allows you to not only stretch out the costs and make it easier to afford but also to change the design in some way if your needs or wants should change. If there is something you want to add or take away from the design, traditional methods make it very difficult to do so. So, this is an advantage of both cost and flexibility.